The Beings of the Bush are of many different kinds. They fly a long way to join in the Flight on Day 3. 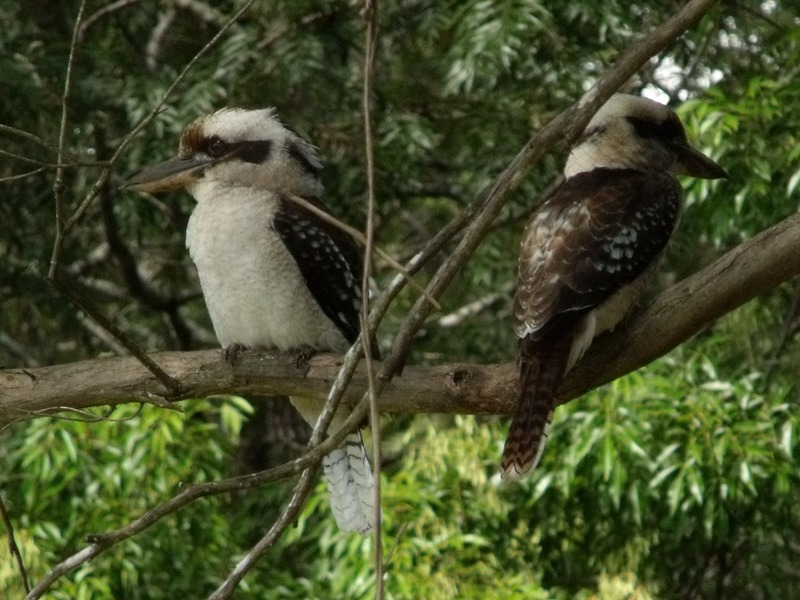 The Kookaburras come along – laughing and giggling. They laugh so much that all of Triflora laughs with them. Well – almost all of Triflora. One of the Kookaburras by the name of Goobra, simply would not laugh. She would not fly. She would not join in at all. Goobra has made a promise for the Party. She has promised that she will laugh – at least once. We will see what happens. She doesn’t look like she’s laughing yet. Quenesta and Raza fly in together as they always do. Quenestra’s wings grow more magnificent every year. She can fly where noone else can fly. She can fly higher and longer than anyone else. Quenestra and Raza only meet once a year. They meet and come to the Party. For the rest of the year, Quenestra is curled up on the ground and looks exactly like a cabbage. She lives in the Vegetable Garden of the Castle of Wisdom. Raza spends the year in the Castle and he takes special care of Quenestra. When the Party comes, they join the Black Owl and fly all the way to Poppy’s Place to join in the flight. 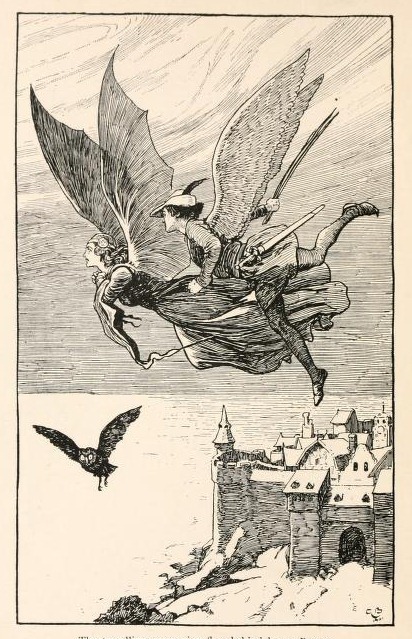 THE FLIGHT OF THE TRIFLORA PARTY. 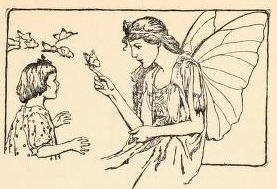 Not everything that flies is a bird or a fairy. 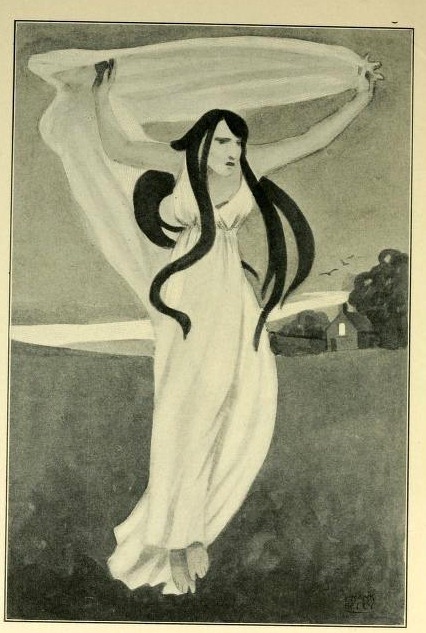 Rosamunda flies with her silken robes. They swirl and twirl and she sails along on the thermals. 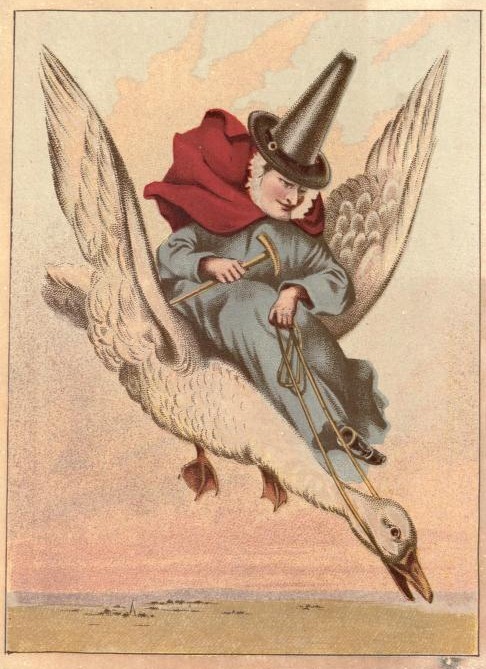 The Goose Rider is a very good rider but the Goose Rider has very strange ideas about what to wear to a Party. 1000s of Butterflies, brush people’s cheeks and sprinkle colours all over them.